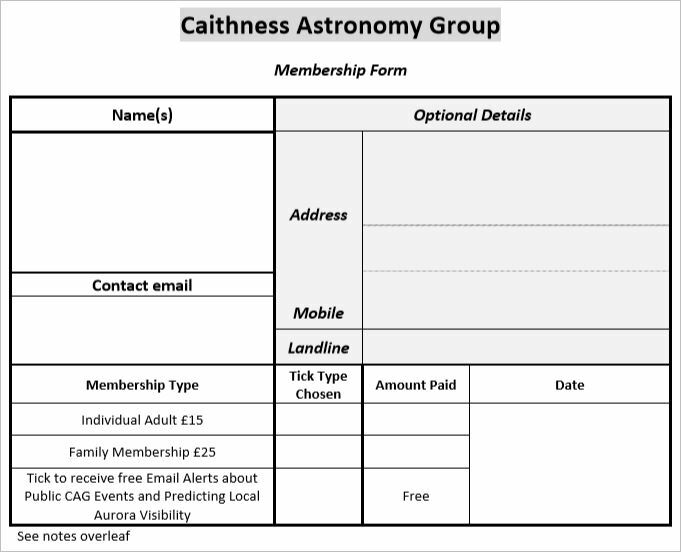 If you would like to become a member of Caithness Astronomy Group, or be added to our mailing list, then please provide the basic details requested on our a simple membership form. Guidance notes relating to providing the info can be found here. Not sure if you want to join - why not come along to one of our public events and if you enjoy it discuss joining with our Secretary or Treasurer. The data provided by you will be held in accordance with EU General Data Protection Regulation. Individuals can request removal of their data at any time by contacting the Membership Secretary either direct (CAGSecretary(AT)mail.com) or via the website contact form. To enable distribution of information about CAG activities, and any other related correspondence. 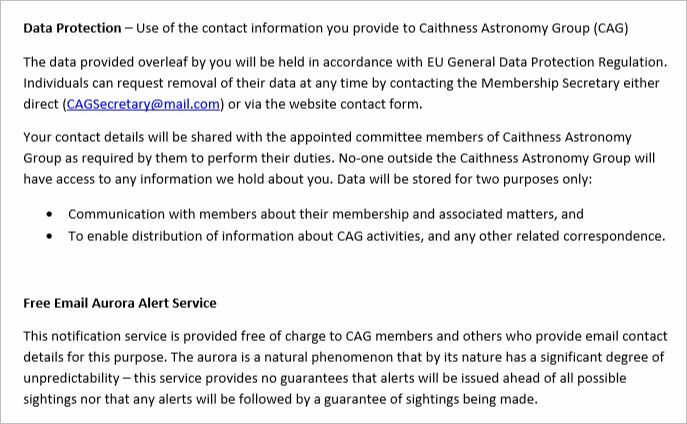 A copy of the Caithness Astronomy Group Data Protection Policy can be found in the CAG document library. Want to make a general enquiry to Caithness Astronomy Group? Then contact us via the online form below.